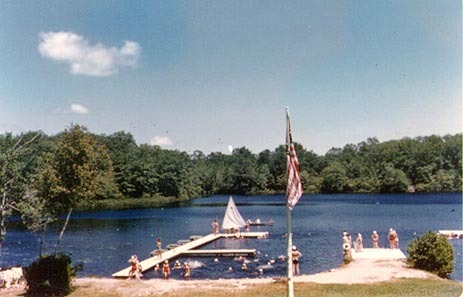 I attended Camp Tyrolé in Oxford, CT every summer for 2 months 1959 - 1963. I retain very fond memories of those days. 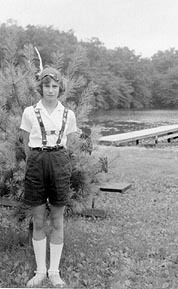 I am hoping that other Tyrolé alumni will find this page and then find Camp Tyrolé on Facebook. To join the Facebook Tyrolé group you need to be an old camper and request to join. 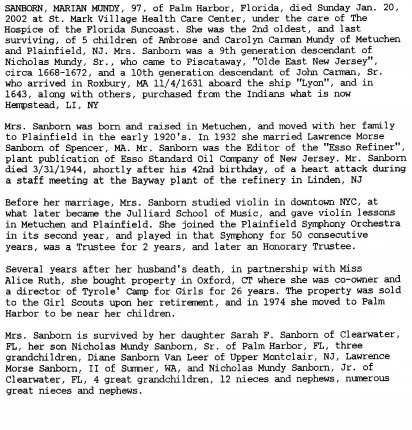 Mrs. Sanborn's son, Nick Sanborn donated MANY old photos. 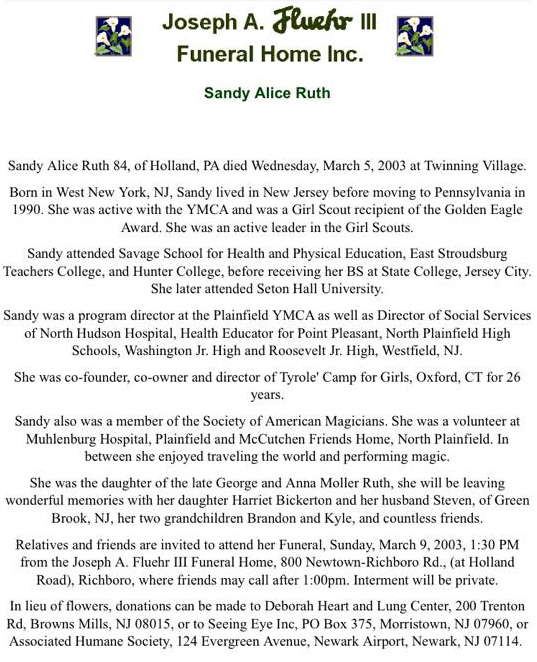 Sadly, I heard that both Mrs. Sanborn and Miss Sandy have passed away; Mrs. Sanborn in Jan, 2002 and Sandy Ruth in March, 2003. I believe this is from 1959. In the middle of the second row are the camp owners/directors: Marian Sanborn, Alice (Sandy) Ruth, and the assistant director who we called "Miss Betty" (I don't remember her last name). I'm the little girl in the front row, 4th from the right, with "Heidi", Miss Betty's dachshund. Two of our camp dogs: Mitzi and Heidi who belonged to Miss Betty. 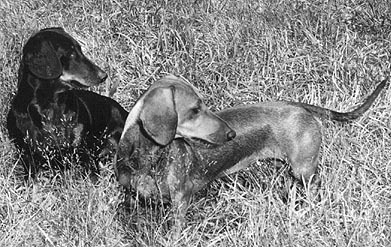 I was very attached to Heidi, missing my own dachshund at home with the same name. 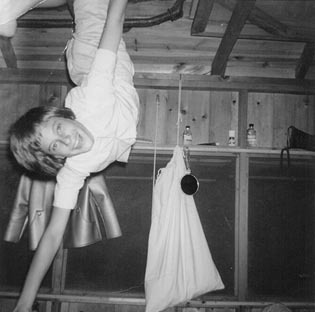 Just loved hanging around in those rafters in the Pioneer Unit Bunkhouse! My special love was riding. I used to wake up early and quietly sneak down to the stables to visit the horses. When the counsellors discovered this they asked me to do the morning feeding. 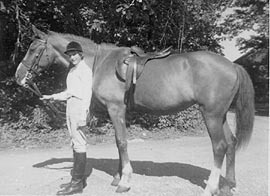 The photo on the right is myself and Holly (owned by Sally Tehan, one of the riding instructors) in 1962. 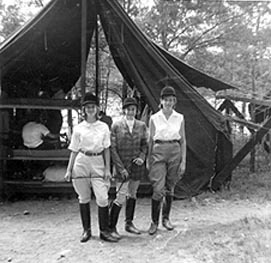 The photo on the left is a horseshow day in 1963 with Connie Hoffman, myself, and Jane Perlman.